We spoke with the developers of Bot Rods to get the inside scoop on bringing this robo racer to life. Hobo Interactive and Holy Cow productions are hard at work building out the world of Bot Rods. The plan is to release both an animated TV show and accompanying arcade-style kart racer. Bot Rods is a colorful experience full of robots who race by running. Rather than having attached wheels, the inhabitants of Bot Rods choose to leg it out for their big races. While at Pax West 2018, we had a chance to speak with the developers of Bot Rods about bringing this colorful world to life. They spoke about the creation of the project and the process behind building a transmedia video game. 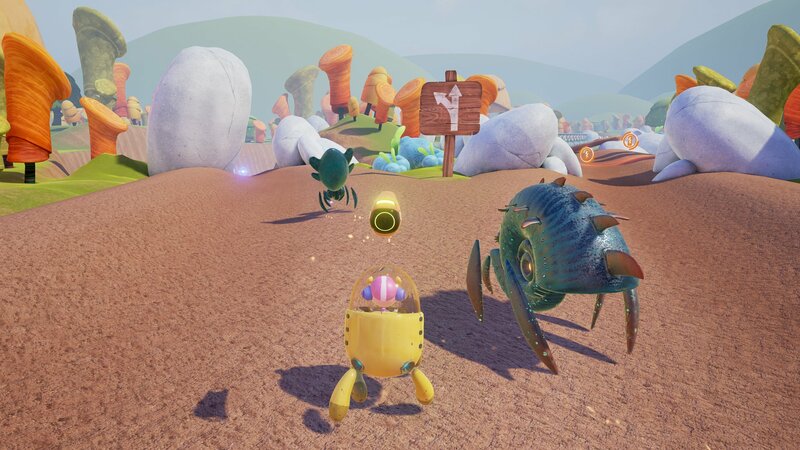 The team is using Unreal Engine 4 to bring Bot Rods to life and found it quite challenging as it was their first time using the platform after previously using the Unity Engine. Also discussed are the various environments and plans to take the action to different planets. Bot Rods will be launching first for the Xbox One and then later arriving on Nintendo Switch. There is not currently a PS4 version of the game, but the team would like to explore that option in the future. For information on when the biggest games of the year will arrive, refer to our video game release date guide.